Audiologist Thousand Oaks | Hearing Clinic | Second Chance Hearing, Inc.
Second Chance Hearing, Inc. we understand that hearing loss can greatly affect the way that you interact in your daily relationships. We place a high priority on improving our patients’ quality of life. 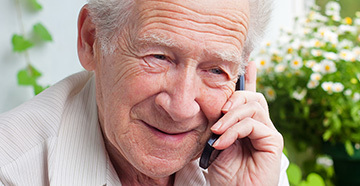 Our goal is to keep you connected to the people you care about, and it is rewarding for us to be able to offer effective options to improve your hearing. Second Chance Hearing, Inc. accepts new patients from Thousand Oaks and all over Ventura County. We works to provide hearing impaired patients with the most effective tools necessary in living a full life while enabling them to listen to all sounds. We serve patients from the entire Thousand Oaks area and beyond. Our services to current patients have given us the credibility to expand our services to other patients across the entire region. 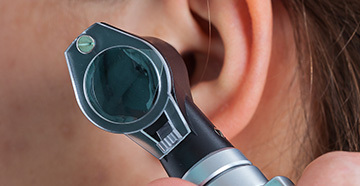 If you are looking for an audiologist in or near Thousand Oaks, we have experienced and professional hearing doctors ready to help test and treat you. We take pride in the fact that our customers appreciate our innovative and modern technologies while maintaining a safe and clean environment. With Second Chance Hearing, Inc.’s convenient location in Westlake Village, we are able to provide for a variety of services for patients from Thousand Oaks and beyond. You can expect to receive a personalized hearing evaluation for hearing aids at our clinic. You will be placed in one of our sound booths so we can measure your auditory senses and ability to understand elements of speech. Based on your needs, we may also give you other tests during this time in order to further assess your treatment options. This will allow us to determine if there are any other necessary treatments and advisement of therapy we need to provide that meets your hearing needs. Once you have gone in for your initial consultation, we will schedule any necessary follow-up that best suits your schedule. Everyone has very busy lives, whether that be personal or business-related. This is why we are very flexible when patients are scheduling appointments. A hearing doctor from our facility will continuously work with you in our office. Our trained professionals are committed to providing you with effective care and treatment for your auditory conditions when time works well for you. Our knowledgeable and friendly staff is available to schedule you for initial consultations or follow-ups in a timely manner. 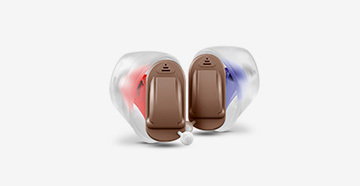 Hearing loss treatment, to us, is more about just issuing people with hearing aids. Patients can expect to receive a personalized treatment that is specific to their health needs. We can also offer counseling recommendations to further assist our patients through their entire process. At Second Chance Hearing, Inc., we care more about being able to give you a solution for condition that has prevented you from living your fullest life's potential. Call us today so we can help with increasing your livelihood and opening up your ears to this world’s beautiful sounds. We are proud to be able to serve our community in the Thousand Oaks area. Helping you stay connected to those who matter most.